I was relieved, in a sense, at no longer being able to attend church, but I would feel the urge to go on my own every now and then. At age sixteen I began attending the church of a friend whose father was the pastor. It was a small storefront building with only my friend's family, myself, and another schoolmate as members. This went on for only several months before the church closed down. After graduating from high school and entering the university I rediscovered my religious commitment and became fully immersed in Pentecostal teachings. I was baptized and "filled with the Holy Ghost," as the experience was then called. As a college student, I quickly became the pride of the church. Everyone had high hopes for me, and I was happy to once again be "on the road to salvation". I attended church every time its doors would open. I studied the Bible for days and weeks at a time. I attended lectures given by the Christian scholars of my day, and I acknowledged my call to the ministry at the age of 20. I began preaching and became well known very quickly. I was extremely dogmatic and believed that no one could receive salvation unless they were of my church group. I categorically condemned everyone who had not come to know God the way I had cometo knowHim. I was taught that Jesus Christ (peace be upon him) and God Almighty were one and the samething. I was taught that our church did not believe in the trinity but that Jesus (peace be upon him) was indeed the Father, Son and Holy Ghost. I tried to make myself understand it even though I had to admit that I really did not fully understand it. As far as I was concerned, it was the only doctrine that made sense to me. I admired the holy dress of the women and the pious behavior of the men. I enjoyed practicing a doctrine where women were required to dress in garments covering themselves completely, not painting their faces with makeup, and carrying themselves as true ambassadors of Christ. I was convinced beyond a shadow of a doubt that I had finally found the true path to eternal bliss. I would debate with anyone from a different church with different beliefs and would totally silence them with my knowledge of the Bible. I memorized hundreds of Biblical passages, and this became a trademark of my preaching. Yet, even though I felt assured of being on the right path, a part of me was still searching. I felt that there was an even higher truth to be attained. It was not long after arriving in Saudi Arabia that I saw an immediate difference in the lifestyle of the Muslim people. They were different from the followers of Elijah Muhammad and Minister Louis Farrakhan in that they were of all nationalities, colors and languages. I immediately expressed a desire to learn more about this peculiar brand of religion. 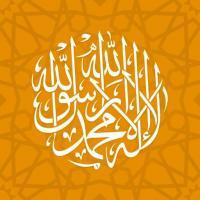 I was amazed with the life of Prophet Muhammad and wanted to know more. I requested books from one of the brothers who was active in calling people to Islam. I was supplied with all of the books that I could possibly want. I read each and every one. I was then given the Noble Qur'an and read it completely several times within four months. I asked question after question and received satisfactory answers. What appealed to me was that the brothers were not keen on impressing me with their knowledge. If a brother did not know how to answer a question, he would tell me that he simply did not know and would have to check with someone who did. The next day he would always bring the answer. I noticed how humility played such a great role in the lives of these mysterious people of the Middle East. Now I only wanted to become as dedicated a Muslim as I was a Christian. This, of course, meant study. I realized that a person could grow as much as they wanted to in Islam. There is no monopoly of knowledge - it is free to all who wish to avail themselves of the opportunities to learn. I was given a set of Saheeh Muslim as a gift from my Qur'an teacher. It was then that I realized the need to learn about the life, sayings and practices of Prophet Muhammad . I read and studied as many of the hadlth collections available in English as possible. I realized that my knowledge of the Bible was an asset that is now quite useful in dealing with those of Christian backgrounds. Life for me has taken on an entirely new meaning. One of the most profound attitude changes is a result of knowing that this life must actually be spent in preparation for life in the Hereafter. It was also a new experience to know that we are rewarded even for our intentions. If you intend to do good, then you are rewarded. Itwas quite different in the Church. The attitude was that "the path to Hell is paved with good intentions." There was no way to win. If you sinned,then you had to confess to the pastor, especially if the sin was a great sin, such as adultery. You were judged strictly by your actions.